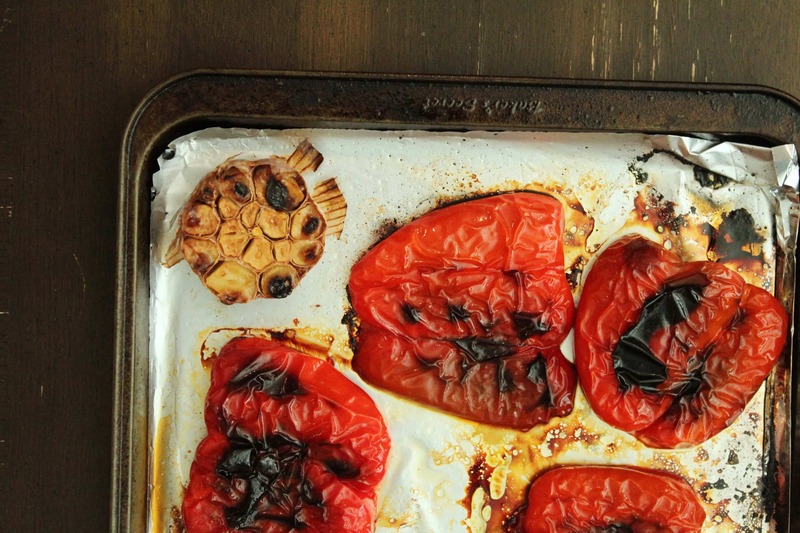 At Grown Under Glass, there is nothing that we love more than being able to share our favourite recipes, including this one for roasted red peppers, with our customers. My entire life I have never heard anyone say “my favourite fruit is a bell pepper!” Why is that? Probably because when people think “fruit” the first that come to mind are Apples, Oranges, Bananas, and Berries! So, whenever I was asked “What do your parents do?” The facial responses when I said “they are Bell Pepper farmers” was always one of surprise and interest. As a child, I never understood why. Bell Peppers were my life. I ate, talked, and smelled of bell peppers. Now that I am a bit older, I understand the unique situation I was brought up in. I have memorized a lot of facts about Bell Peppers, so I was ready when the interest sparked on the faces of strangers who asked about my parents. But Peppers aren’t as uncommon a fruit as you may think. According to Agriculture Canada 134, 638 metric tonnes of Bell Peppers were grown in Canadian Greenhouses in 2015. I still live very close to the family farm, and therefore consume more Bell Peppers than the average person. When my parents asked me to create recipes using them, the task was not difficult. Greenhouse Bell Peppers can be used in a large variety of ways because they can be eaten raw or cooked. But my favourite way, and therefore the first recipe I wanted to blog, is roasted. Red Bell Peppers shine when they are roasted. They absorb a smoky flavour that can transform any dish. I chose to only roast red bell Peppers because they are the sweetest. Roasting yellow bell peppers, orange bell peppers, or green bell peppers provide you with a more bitter taste. 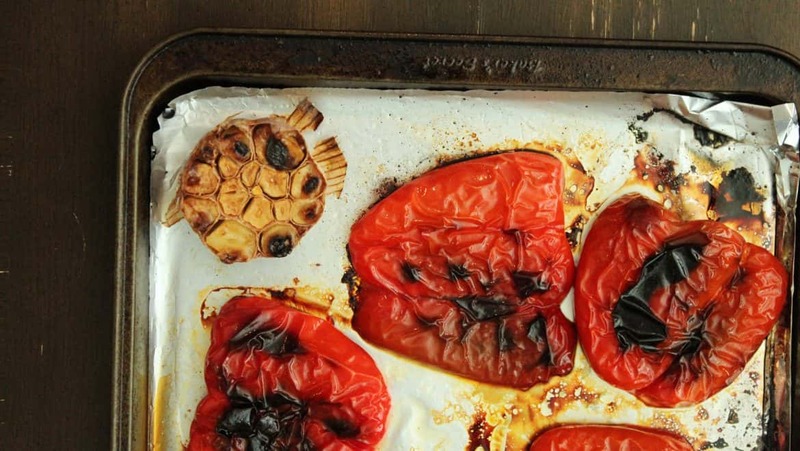 There are a few different methods to roasting bell Peppers. If you have a gas stove top, you could simply char it on the open flame, turning repetitively until all the skin is black. You could barbecue the red bell Peppers until you achieve the same results. My recipe is slower, but it is the safest option for when you have small children running about, wanting to stick their hands in everything! First, preheat the oven to the “roast” setting (if available, if not the regular setting would work fine) at 425 degrees F. While it is heating up, wash the bell Peppers in cold water. Cut them in half, removing the seeds and stem. Line a baking sheet with aluminum foil and drizzle a bit of Olive Oil on it. Using your hands, rub each red bell Pepper half in the Olive Oil and sprinkle with Salt and Pepper on each side. Lay the Pepper Halves skin side down on the aluminum foil. Roast for 15 minutes then remove from the oven and flip the bell Peppers. Turn the broiler on high and put the baking sheet back in the oven. Watch your red bell Peppers closely as they will begin to char. Rotate the baking sheet if you notice unequal charring on the Peppers. In about 5-7 minutes the bell Peppers should be ready to come out of the oven. The skin should be very charred. After trying some of my recipes, I really hope that when asked “What is your favourite fruit?” – Bell Peppers may be one of the first fruits that come to your mind! If you would like to learn more bell pepper recipes, such as roasted red pepper humus, or if you would like to learn more about growing in greenhouses, please contact Grown Under Glass at 604-864-0078 or by filling out a contact form on our website.